John has worked on resilience and disaster risk reduction (DRR) for 25 years, in the university, NGO and consultancy sectors. His research has covered many aspects of DRR and crosses disciplinary boundaries, between geography, sociology and planning. The application of academic research to improve policy and operations is a particular interest. He is an editor of the journal Disasters and serves on the committee of the European Sociological Association’s Disasters, Conflict and Social Crisis Research Group. 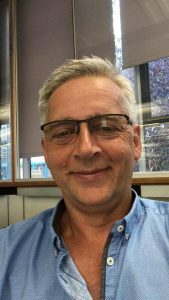 John joined ODI in October 2016 as Senior Research Fellow in the Risk and Resilience programme and is currently the principal investigator of the PSB project. 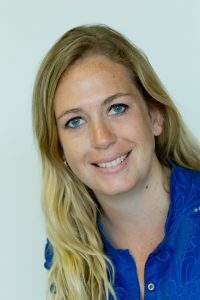 Emma is a Senior Research Officer in the Risk and Resilience Programme, ODI. Her areas of expertise include disaster risk reduction, climate change, resilience, equity and social inclusion, and the 2030 Agenda for Sustainable Development. She has advised and supported a range of UN agencies, civil society organisations, multilateral/regional organisations, and national governments on resilience and disaster risk management policies and strategies. Before ODI, Emma worked for United Nations Economic and Social Commission for Asia Pacific (UNESCAP) and the Asian Disaster Preparedness Center (ADPC), both in Bangkok, Thailand. Bill is an architect and a builder, he has worked as a humanitarian shelter practitioner for a number of INGOs and is currently CARE International UK’s Senior Research Advisor. Bill also teaches the Shelter after Disaster module of the Development and Emergency Practice masters at CENDEP, Oxford Brookes. His working life has been divided between the UK and development and humanitarian work in three continents. In recent years Bill has worked in Indonesia, Bangladesh, Pakistan, Cuba, Western Sahara, Philippines, Nepal, Haiti, Vanuatu among other countries. His particular area of interest is in the promotion of support to self-recovery after disasters. Bill is currently the manager of the PSB project. Holly is a post-doctoral shelter researcher at CARE UK. She has an MA and PhD in Humanitarian and Conflict Response from The University of Manchester. Her specific interests include shelter after disasters and within the context of autonomous adaptation to climate change often with a specific, although not sole focus on urban environments. Before working at CARE UK Holly spent two years researching and implementing participatory Disaster Risk Management and Climate Change Adaptation projects in urban informal settlements in the Dominican Republic. 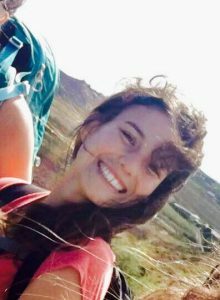 Luisa is a shelter research assistant for the humanitarian technical team at CARE Int. UK. She has an MSc in Building and Urban Design for Development from the Development Planning Unit at UCL and a BSc in Geography, Politics and International Relations. Previously, she has worked in – and researched – urban development practice in the Philippines, Colombia, Cambodia and the UK. Her interests are in social justice, public space, empowerment, urban (eco)systems, humanitarian shelter and host communities, infrastructure, gender, protection and inclusion. Tiziana is a professor in Earthquake Engineering in the Department of Civil, Environmental and Geomatic Engineering (CEGE) at UCL where she directs the Earthquake and People Interaction Centre (EPICentre, www.ucl.ac.uk/epicentre ). EPICentre was founded by Prof. Rossetto in 2007 with seed funds from a highly competitive UK Research Council Grant called Challenging Engineering (£1M), and has grown to become the largest centre in natural hazard resilience in the UK. A key aspect of Tizianna’s research is to apply earthquake engineering knowledge to other disciplines. By using a multidisciplinary approach Prof. Rossetto’s aim is to develop new science and techniques to holistically evaluate earthquake and tsunami risks and provide engineering guidance for their effective mitigation. Dina is Head of Structures and Co-director of the EPICentre research centre. She is a structural engineer with a humanities background and her research focus is the protection of architectural heritage and urban settlements from natural hazard. Previously at University of Bath, she headed the Earthquake and Conservation Engineering Research group for 15 years. Dina is an EERI member, a SECED member and a member of the EEFIT team. 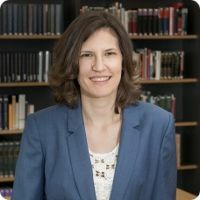 She is joint editor of the Bulletin of Earthquake Engineering, and member of the editorial board of the International Journal for Architectural Heritage. She has been a consultant to the WB, IDA, UNDP and UNESCO on projects of heritage conservation and hazard protection in the Middle East, Ethiopia, Turkey, Iraq, Nepal etc. 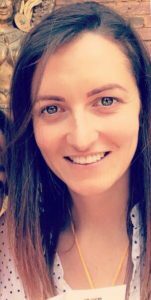 Victoria is a post-doctoral research associate working with EPICentre-UCL. 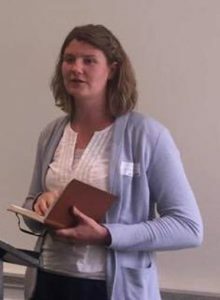 Her PhD research focused on the increasing risks posed to the UK historic building stock from flooding and extreme precipitation, in the context of recent past and potential future climate change. 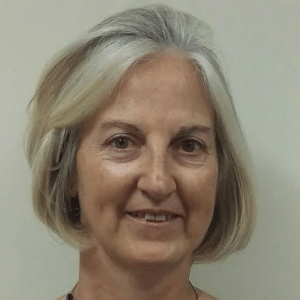 Susanne leads seismic hazard activities at the British Geological Survey (BGS) and has worked on many commercial seismic hazard projects for engineering applications in the UK and internationally. She has also co-authored the national seismic hazard maps for the UK and the United Arab Emirates. 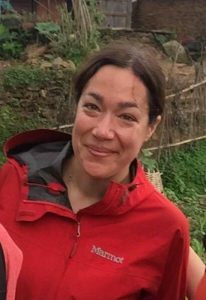 Susanne also leads the BGS contribution to the NERC-ESRC funded transdisciplinary Earthquakes without Frontiers project (2012-2017) and holds a NERC-ESRC funded knowledge exchange (KE) fellowship for the NERC-ESRC Increasing Resilience to Natural Hazards research programme. 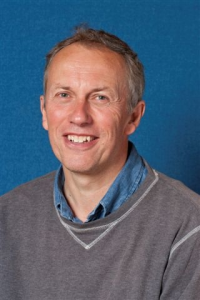 Tom was an engineering geologist/geomorphologist at the British Geological Survey specialising in climate change effects on slope instability processes in natural and engineered (transport infrastructure) slopes, landslide hazard forecasting and the community-sensitive management of geohazards. He has recently re-joined Loughborough University as a Lecturer in Engineering Geology. He is on the Editorial boards of the “Quarterly Journal of Engineering Geology and Hydrogeology” and “Engineering Geology” and is a Fellow of the Geological Society, London and a member of the International Association for Engineering Geology and the Environment. 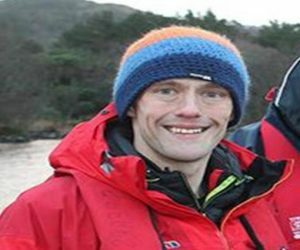 Andrew is a post-doctoral geomorphologist specialising in glacial geomorpholog from the University of Edinburgh. 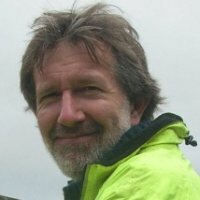 Andrew is also a member of the Quaternary Research Association Executive Committee; the Editorial Board: Proceedings of the Geologist’s Association; a Chartered Geographer, CGeog [Geomorph]; a Fellow of the Royal Geographical Society with IBG and a member of the Quaternary Research Association. He is currently working as part of BGS within the PSB project. Copyright © 2019 Promoting Safer Building. Powered by WordPress. Theme: Spacious by ThemeGrill.